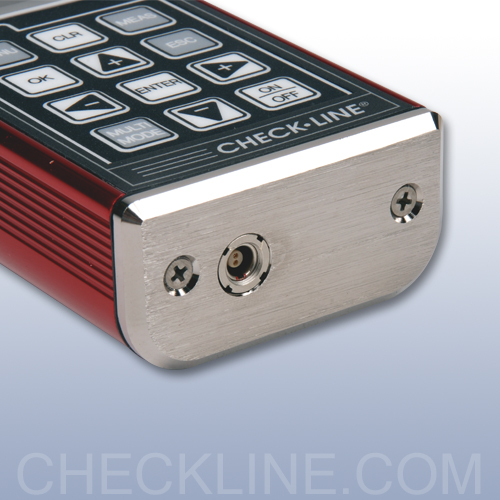 The Check-Line TI-CMXDL accurately measures coating and wall thickness on a wide range of materials. 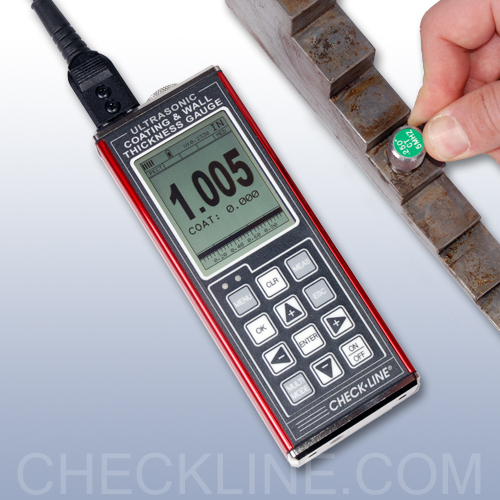 Five selectable measuring modes enable the operator to precisely measure wall thickness, coating thickness and locate corrosion and pitting—without removing the coating. Oversized graphic LCD is backlit and features an easy to navigate menu allowing quick access to gauge settings and options. 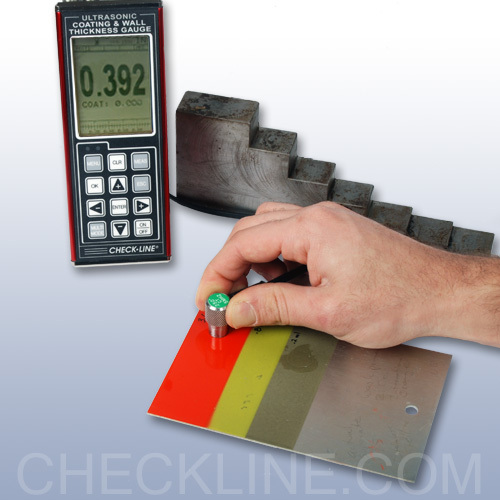 Coating Only Mode (CT): (Coating Thickness) Measures from 0.0005 to 0.100 inches (0.013 to 2.540 mm). Range will vary slightly depending on the coating. Metal housing provides strong protection against harsh environments. - 50 Ft. 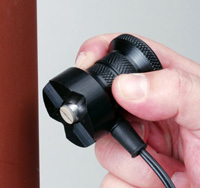 Length, Waterproof Probe/Cable assembly with non-polarized, Dual-Lemo connectors. 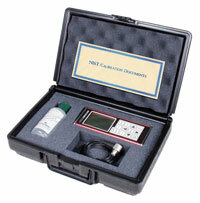 The TI-CMXDL is supplied as a complete kit with the gauge, probe, 4 oz. 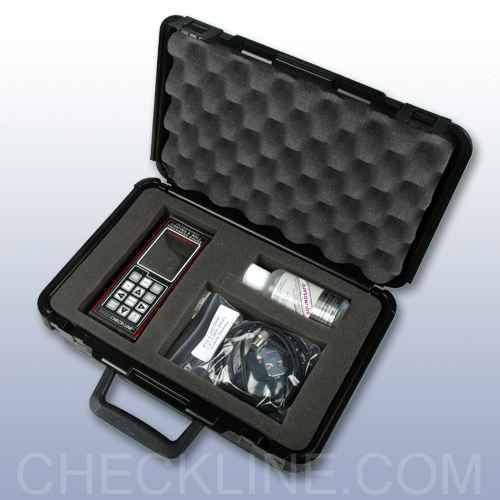 bottle of coupling fluid, 2 AA batteries, NIST-Traceable Calibration Certificate, operating manual, Software, RS-232 output cable, RS-232 to USB adapter, all in a foam-fitted carrying case. 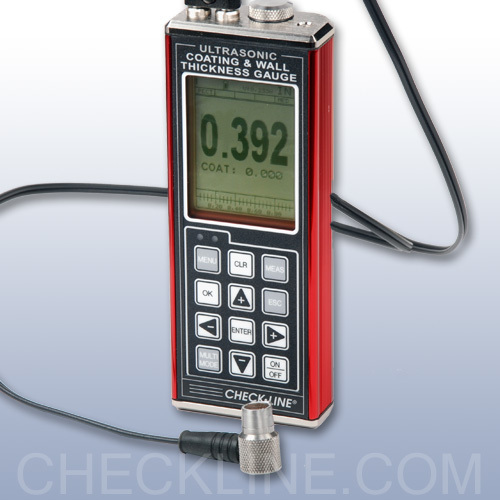 Range in Coating Only Mode 0.0005" - 0.1000" / Resolution: 0.0001"